New Year? New Goals? New Capital? What’s in store for your business in 2018? Expansion plans? Smooth out cash flow? Take the pain out of that tax payment? OMEGA Processing’s short-term capital funding program can help. With our funding program, you essentially enter into a purchase agreement with OMEGA Processing Solutions. In exchange for a designated amount of funding, you contract to sell a set amount of future credit card receipts back to OMEGA Processing every month. The specified percentage of the receipts and the term of the payback agreement are agreed upon when signing the agreement. No need to worry about making a set monthly payment amount during down times because the payment percentage is tied to your credit card sales. For more information about Business Funding Solutions from OMEGA Processing, visit our website or call 866.888.9724 Ext. 7. Want to stock up on inventory before the busy holiday season? Do you have expansion plans for 2018? OMEGA Processing’s business funding program provides working capital so that you can expand, remodel, upgrade equipment, hire new employees, retire debit or meet any other cash needs. With our funding program, you enter into a purchase agreement with OMEGA Processing. In exchange for an designated amount of funding, you contract to sell a set amount of future credit card receipts back to OMEGA Processing every month. The specified percentage of the receipts and the term of the payback agreement are agreed upon ahead of time. No need to worry about making set payment amount during down times because payment percentage is tied to credit card sales. For more information about Business Funding Solutions from OMEGA Processing, go to our website or call 866.888.9724 Ext. 7. What’s on Your Business Wish List? What could you do with $20,000 or $50,000? Expand your business… retire debt… pay taxes… upgrade equipment… smooth out cash flow? OMEGA Processing Solutions can help. Our no-hassle business funding program provides short-term working capital so you can focus on your business and meeting financial goals. Get the cash you need now, and pay back the amount with a small percentage of each day’s credit card sales. What’s on your business wish list for 2016? A remodel or expansion? Equipment upgrades? A new point-of-sale system to better manage your business and control costs? 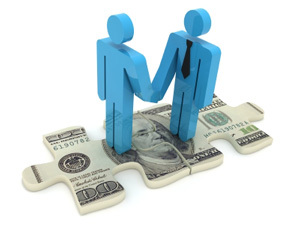 Capital funding from OMEGA Processing Solutions can give you the short-term cash that you need. With hassle-free business funding from OMEGA Processing, there is no collateral, hidden fees or closing costs. As an OMEGA merchant, you agree to sell back to us a small percentage of your future credit card sales. No fixed payment schedule or business-use restrictions means flexibility for your business. In addition, your capital funding agreement with OMEGA will not have any impact on your ability to qualify for other financing if needed. Funding with OMEGA Processing is fast, with no strings attached. All funding decisions are made in-house by OMEGA personnel — often with 24 hours. Visit the Business Funding section of our website for more information and a free, no-obligation quote. Short-term capital funding from OMEGA can help you focus on what you do best — running your business. Let OMEGA Processing help you take your business to the next level in 2016. You are currently browsing the archives for the Short-Term Capital Funding category.